Ingenico and FreedomPay have announced their partnership and the certification of the innovative Telium2 series point-of-sale (POS) payment devices. 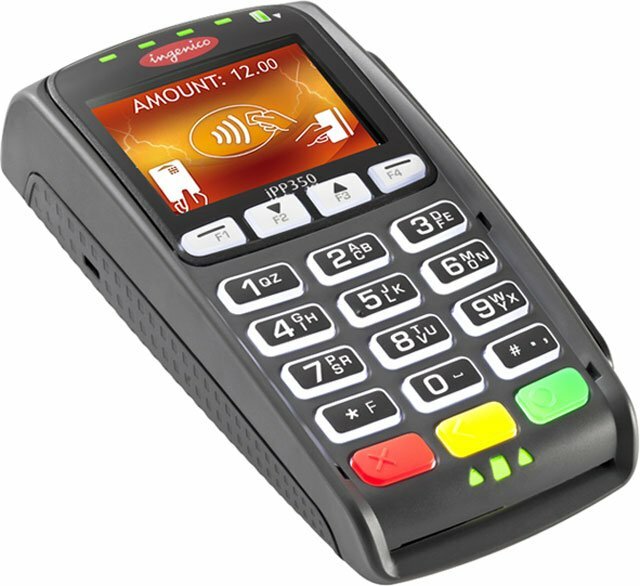 The integration extends to Ingenico’s retail base application (RBA) and its innovative hardware, including iSC250 Signature Capture terminal and iPP350 PIN Pad devices. The newly supported Ingenico RBA software-powered devices will accept magnetic stripe and EMV chip-card payments, as well as NFC-based transactions, enabling tap-and-go mobile payments. Ingenico devices will be integrated and connect to the FreedomPay Commerce Platform, a cloud-based smart technology gateway, that supports true point-to-point encryption (P2PE), instantly reducing merchants’ scope for the Payment Card Industry Data Security Standard (PCI DSS) compliance and giving merchants a path to future payment system expansion. 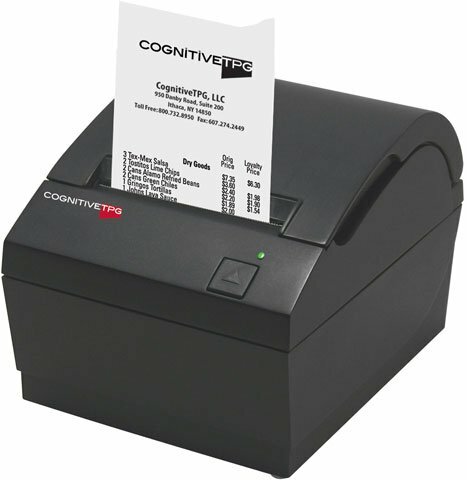 CognitiveTPG sets new reliability benchmark for its POS Receipt printers, A798 and A799, increasing specifications on printhead life, knife cuts, and print lines. More importantly, CognitiveTPG is offering exceptional pricing on the A798 printer that will agree with any price sensitive budget. With the only self-sharpening ceramic knife in the industry, both the A798 and A799 now boast the highest knife life available at 3 million cuts, 72 million printlines, and 242 km printhead life, taking them well beyond the A798’s new 3-year warranty and the A799’s 4-year warranty. Even though the first bar code scan in a retail store took place over 40 years ago, many people still active in the retail industry remember when bar code scanning at the checkout was a novelty; not the norm it is today. Given the $20,000 price tag of the first grocery store checkout scanner – about $93,000 in today’s dollar – the early technology adopters were truly committed. Although some naysayers probably thought they should have been committed. Since then, and especially in the last few years, other technologies have been developed and adapted to improve the retail checkout. These developments are getting more attention today because Retailers are focused on the importance of an improved in-store shopping experience for their customers. They are working to keep the in-store experience valuable and relevant as they compete with the online alternatives consumers have at their fingertips. Heckler has announced the release of its WindFall C, a secure point-of-sale iPad stand designed to be compatible with PayPal Here and virtually every card reader available today. The WindFall C is a slight variation on the original Heckler Designed-WindFall, previously only compatible with certain readers. The new design carries over the beautifully simple, patented design and commercial-grade construction, which made the original the preferred choice for iPad-based point-of-sale systems. The WindFall C is available in several popular colors. Datalogic has announced their new and revolutionary Magellan 9800i retail point of sale barcode scanner. The sleek, new Magellan 9800i is the result of over 40 years of engineering innovation and sets a new standard of excellence. 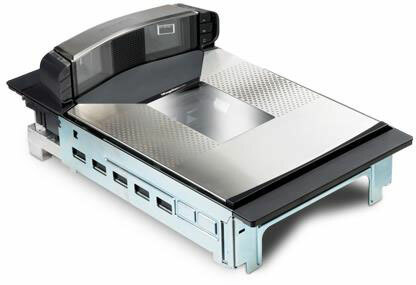 Digital imaging technology quickly reads 1D and 2D bar codes while giving the Magellan 9800i a 20% increased platter area. The optional top down reader increases the scan volume and provides a customer facing mobile device reader. Datalogic patented All-Weighs platter and ScaleSentry technology assures the accurate capture of large and bulk weighed items. 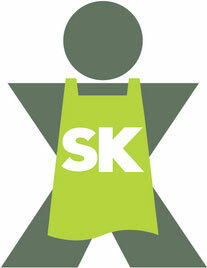 ShopKeep POS announced it has been named to the Red Herring Top 100 leading private companies in the U.S. and Canada. As the top provider of POS software specifically designed for use on iPads, ShopKeep provides an easy to use solution for businesses that need a cost effective but fully capable POS system. Pairing ShopKeep POS software with an iPad, receipt printer, cash drawer and even a barcode scanner makes for an intuitive system that takes no time to set-up and start taking customers. There are even complete software/hardware bundles to make things even easier! POS systems – or point-of-sale systems – are the hardware and software systems that a business uses to process sales and collect payment from customers. 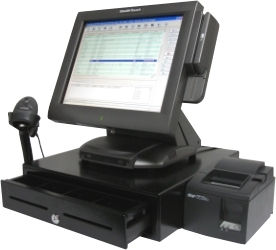 POS systems have evolved greatly since basic register-style units. Modern systems include many additional features that allow you to input orders, manage inventory, track staff attendance, print invoices, and process reports. The worlds of Barcoding and Point of Sale are constantly evolving and changing to the needs of many types of businesses. Advances in technology and the need for mobility, constantly drive changes and advancements. Keeping up with all the product updates, new solutions, and current innovations is no easy task. Luckily, there are a host of online resources from industry leaders and independent users we can put to use. In addition to this site, these other resources are ideal for finding out about new scanners, mobile computers, and POS systems as well as different ways to implement them in your business. ShopKeep POS was presented with a Bronze Stevie Award for Front-Line Customer Service Team of the Year in the Computer Hardware, Services & Software category at the seventh annual Stevie Awards for Sales & Customer. Other finalists in this category included Rackspace Hosting and nFocus Solutions. ShopKeep POS was founded in 2008 by Jason Richelson, a former multi-store retailer in NYC, whose keen eye for merchant pain points and needs has influenced how he has built every inch of the company. As a leading provider of barcode, mobile computing, and POS solutions, BarcodesInc is always looking for new and viable partnerships to provide the best solutions for our customers. As such, we have teamed up with ShopKeep POS to provide complete point of sale solutions designed specifically for the iPad. With the current adoption of new mobile devices like iPads, functions like the point of sale are evolving to meet the needs of emerging businesses. ShopKeep POS is a leader in this space and provides a dynamic, robust POS software that remains intuitive and easy to use. Being a cloud-based software you can ring up customers, print or email receipts, pop the cash drawer, accept credit cards, print to the kitchen, scan items, manage your inventory, update pricing and have real time access to sales numbers from anywhere.